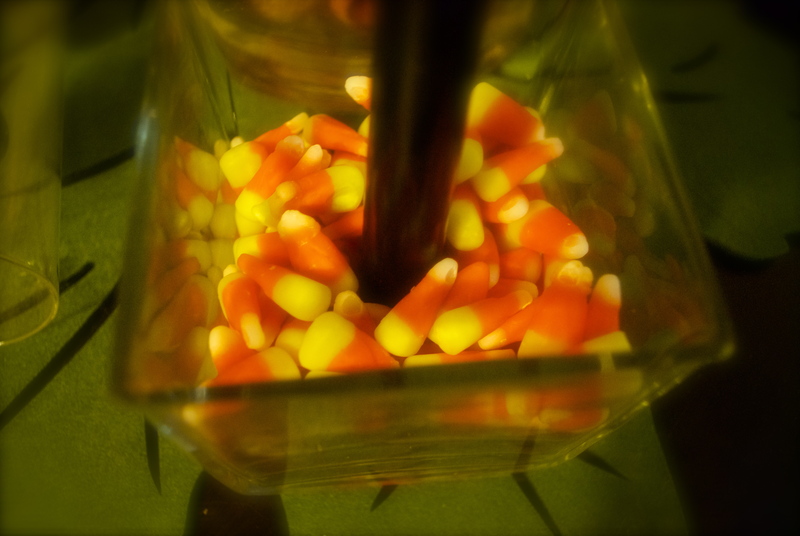 Lately, I’ve felt like I’ve been trapped in my own private horror film, something along the lines of Children of the Candy Corn. 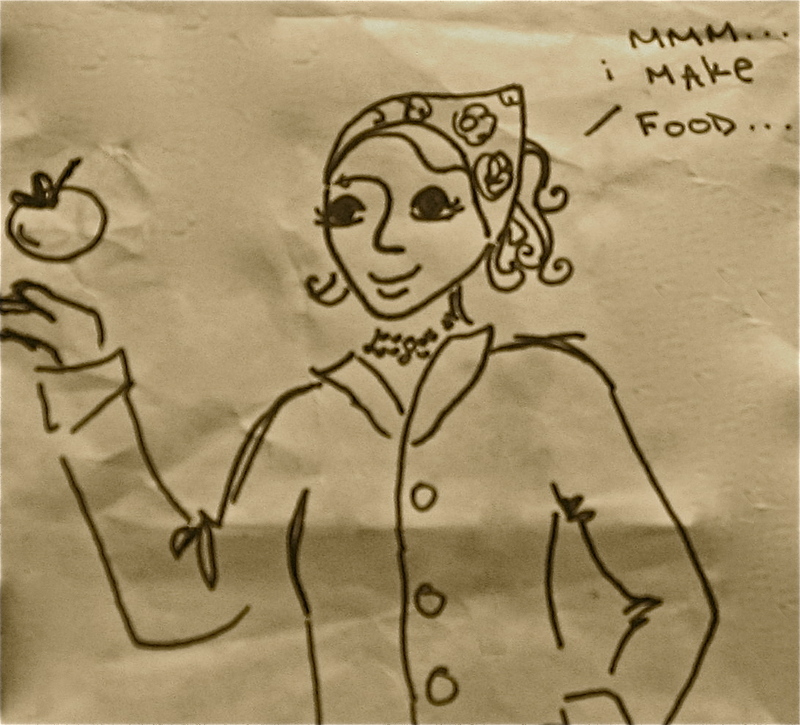 While I am rather meh on eating them, the sugary little treats that epitomize fall have clearly infiltrated my brain this month. 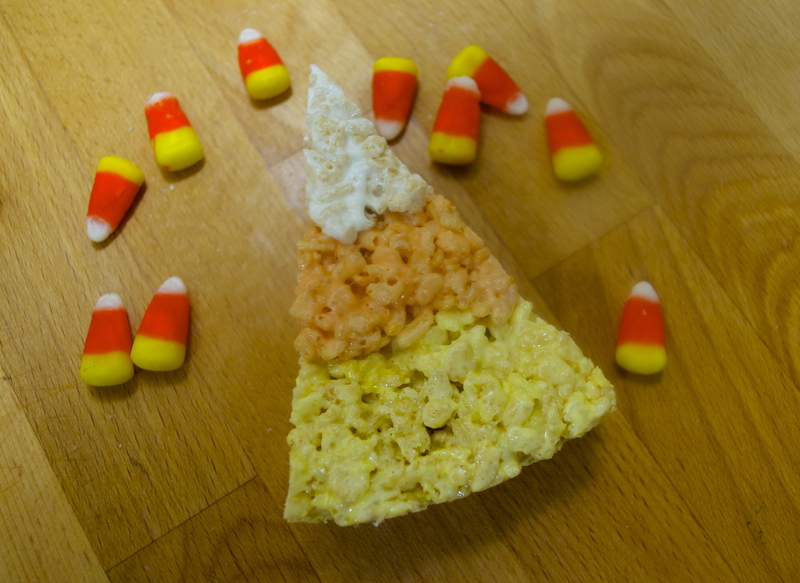 Over the last three weeks, I have painted a candy corn pumpkin and made candy corn krispie treats, and yet still my dreams have been flooded with the colors yellow, orange and white. 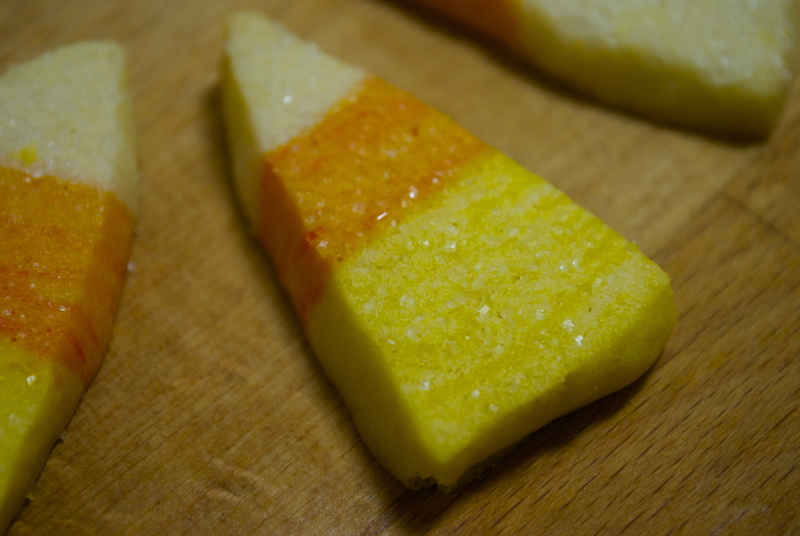 So last week, in an effort to satisfy the demons, I made some adorable candy corn sugar cookies. I couldn’t help it! I swear. I had to make them. On the bright side, they really are adorable. I mean, really. Look at them. Just don’t look at the wonky one in the back…I have no idea what happened there. 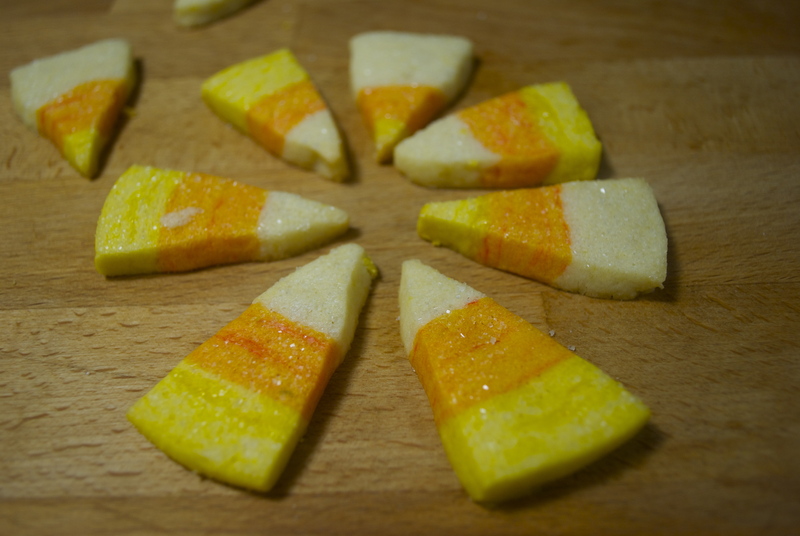 These cookies are the perfect treats to make when Halloween is around the corner. To counteract all the usual chocolate decadence, they are delicate and lemon-y. And, as a bonus, they are small enough that you can eat a couple without guilt. I have been on a crafting kick lately. It must be the nip in the air — finally it doesn’t seem wasteful to be inside! 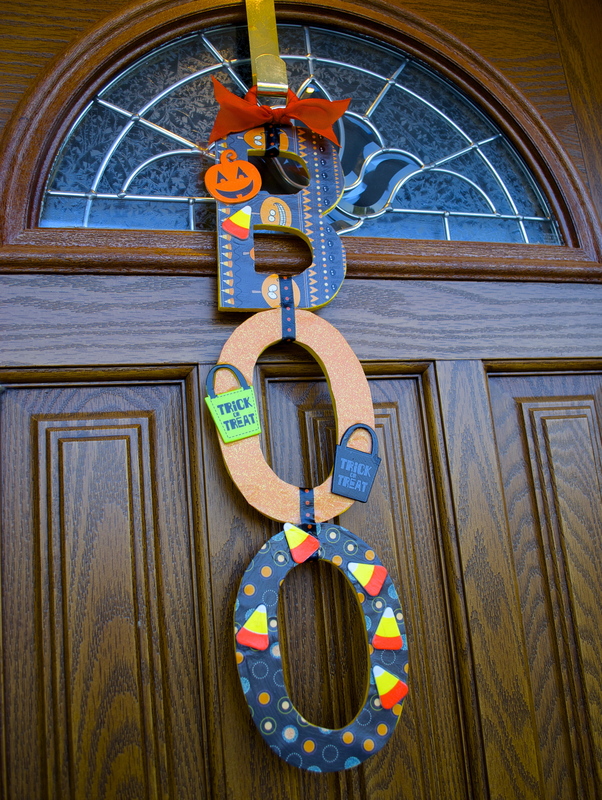 So even though I’m sure it would have been just as cheap cheaper to have bought a cute Halloween door hanger from Target, I decided to make my own. I was inspired by this blog post, discovered through Pinterest (full tutorial at the link). It seemed like an easy enough craft and it was! I started last Monday and it was done by Tuesday — the hardest part is waiting for the coats of Modpodge to dry. 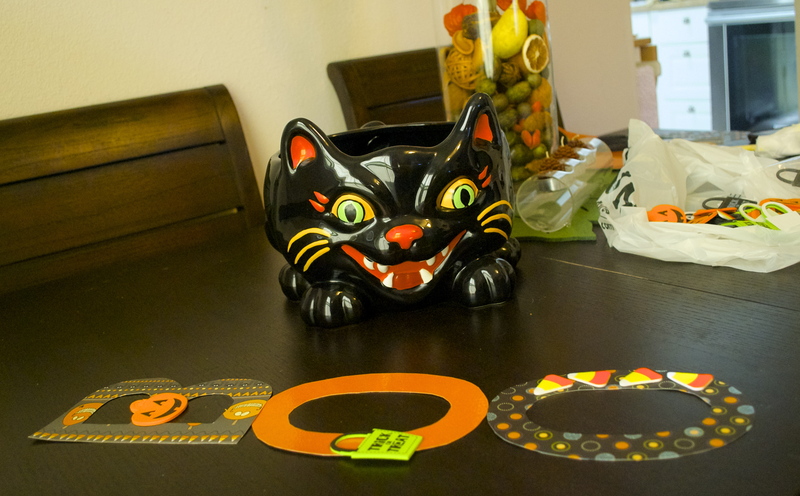 I hit up Joann’s and bought the wooden letters, some cute scrapbook paper, a bottle of Modpodge and a few fun stickers. Then it was on to the crafting! My husband brought me home a pumpkin last weekend. 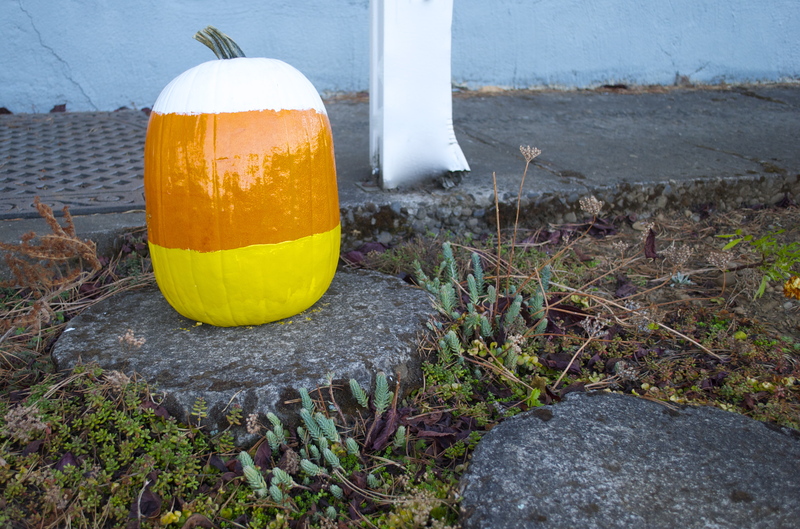 It’s too early in the season for carving (even though I really wanted to roast some seeds! 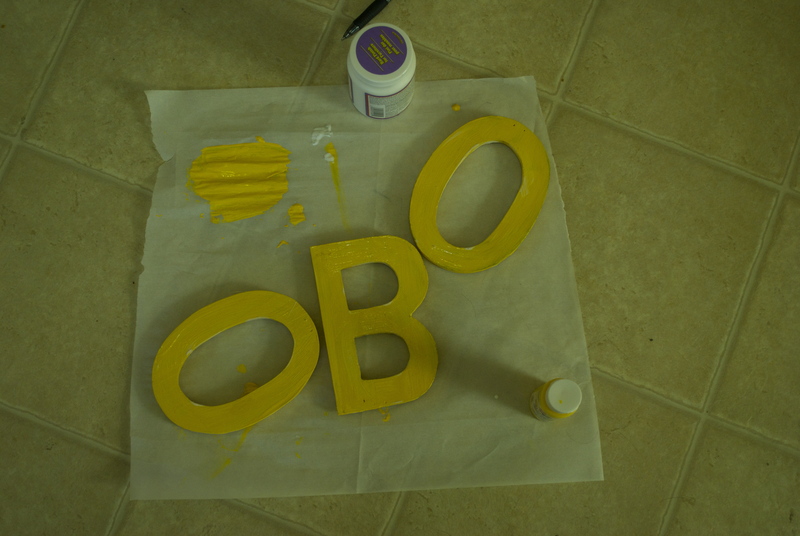 ), so I decided to paint it instead. Taken straight from Pinterest, I present to you my crafty results. I pretty much love it! It was super easy and it looks great in the front yard with my succulents keeping it company.